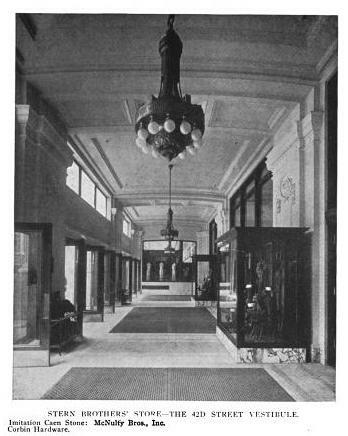 The Stern Brothers department store designed by John B. Snook Sons c. 1913 on West 42nd Street between 5th and 6th Avenues in New York City. 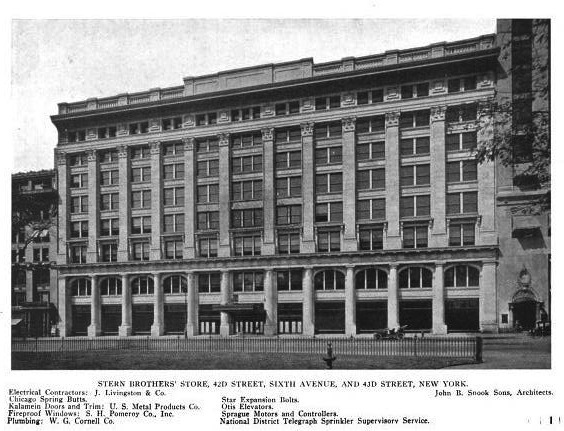 Stern Brothers moved into their new flagship store after leaving their 23rd Street location seen HERE. The 42nd Street location closed in 1969 and was eventually demolished and replaced with the W.R. Grace Building. 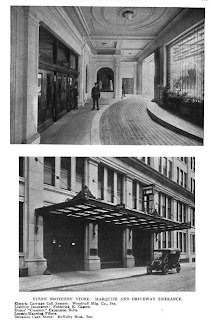 Click HERE to see Isaac Stern's residence and HERE for Louis Stern's residence. Click HERE to see Benjamin Stern's Long Island estate 'Claraben Court'. 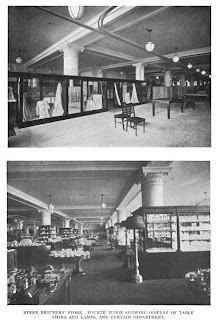 Very nice progression of links giving the reader the complete story of the owners, their first store location on 23rd Street, the expanded emporium on 42nd Street and their magnificent homes on 5th Avenue. 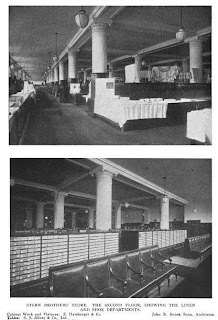 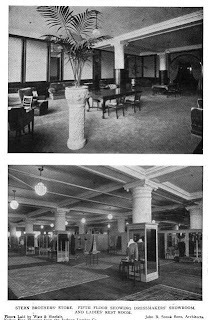 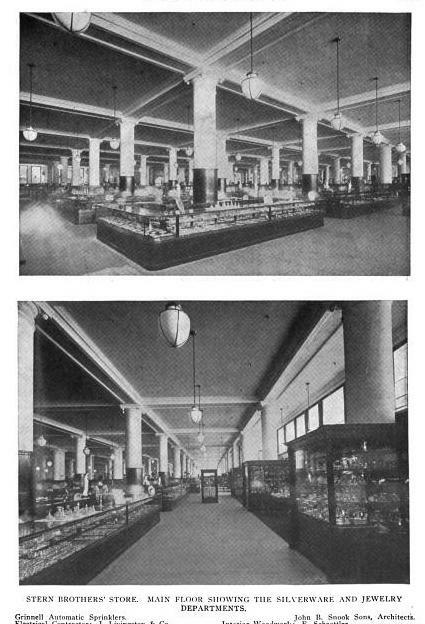 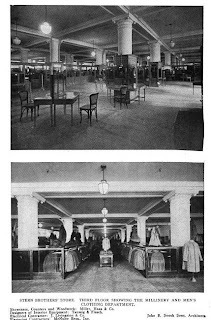 Wonderful interiors built back in the day when there was still some grace and humanity in the art of selling all of which is lost on todays retailers and shoppers alike.